All homeowners should know how to figure mortgage interest; whether you are financing the purchase of a home or refinancing your existing mortgage loan with a new loan, you will prepay interest. Now, for the math challenged, please know it is not as difficult as you might think. How much interest is prepaid will determine when you want your first payment to begin. Many borrowers prefer to make a mortgage payment on the first of every month. Some prefer the 15th. Sometimes lenders will choose that payment date for you, so ask if you have a preference. In the United States, interest is paid in arrears. This means your principal and interest payment will pay the interest for the 30-day period immediately preceding your payment due date. If you are selling your home, for example, your closing agent will order a beneficiary demand, which will also collect unpaid interest. Let's take a closer look. For example, say your payment of $599.55 is due December 1. Your loan balance is $100,000, bearing interest at 6% per annum, and amortized over 30 years. When you make your payment by December 1, you are paying the interest for the entire month of November, all 30 days. If you are closing your loan on October 15th, you will prepay interest from October 15th through October 31st to the lender. It may seem like you get 45 days free before your first payment is due on December 1, but you are not. You will pay 15 days of interest before you close and another 30 days of interest when you make your first payment. 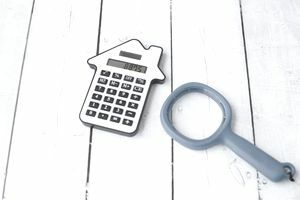 If you want to know your unpaid principal loan balance that is remaining after you make your first mortgage payment, it is easy to compute. First, take your principal loan balance of $100,000 and multiply it times your 6% annual interest rate. The annual interest amount is $6,000. Divide the annual interest figure by 12 months to arrive at the monthly interest due. That number is $500.00. Since your December 1 amortized payment is $599.55, to figure the principal portion of that payment, you would subtract the monthly interest number ($500) from the principal and interest payment ($599.55). The result is $99.55, which is the principal portion of your payment. Now, subtract the $99.55 principal portion paid from the unpaid principal balance of $100,000. That number is $99,900.45, which is the remaining unpaid principal balance as of December 1. If you are paying off a loan, you must add daily interest to the unpaid balance until the day the lender receives the payoff amount. $99,900.45 x 6% interest = $5,994.03 ÷ by 12 months = $499.50 interest due for December. Your January payment is the same as your December 1 payment because it is amortized. It is $599.55. You will subtract the interest due for December of $499.50 from your payment. That leaves $100.05 to be paid to the principal on your loan. Your balance as of December 1 is $99,900.45, from which you subtract the principal portion of your January 1 payment of 100.05. This equals $99,800.40 as your new unpaid principal balance. With each consecutive payment, your unpaid principal balance will drop by a slightly higher principal reduction amount over the previous month. This is because although the unpaid balance is computed using the same method every month, your principal portion of the monthly payment will increase while the interest portion will get smaller. To compute daily interest for a loan payoff, take the principal balance times the interest rate and divide by 12 months, which will give you the monthly interest. Then divide the monthly interest by 30 days, which will equal the daily interest. Say, for example, that your uncle gives you $100,000 for a New Year's Eve present and you decide to pay off your mortgage on January 5th. You know you will owe $99,800.40 as of January 1. But you will also owe five days of interest. How much is that? $99,800.40 x 6% = $5,988.02. Divide by 12 months = $499. Divide by 30 days = $16.63 x 5 days = $83.17 interest due for five days. You would send the lender $99,800.40 plus $83.17 interest for a total payment of $99,883.57.